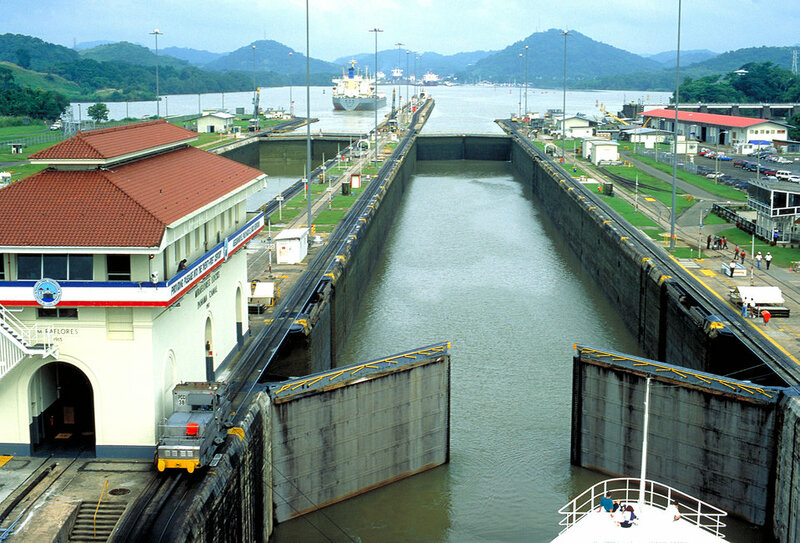 Two aspects of public health concern are in evidence in this photo of the locks at the Pacific Ocean end of the Panama Canal: the current and the historical. Vessels carry goods back and forth through the canal from all parts of the globe. Nearly 14,000 ships a year travel through the canal. The tonnage of the goods they carry is almost 195 million.Historically, the narrow 40 mile isthmus attracted the interest of developers in the latter half of the nineteenth century. Although a formidable engineering challenge, the terrain was less daunting than the disease-carrying mosquitoes of the region. Under the leadership of Colonel William C. Gorgas, U.S. Army, M.D., public health officials instituted sanitation measures that eliminated the yellow fever- and malaria-carrying mosquitoes, which made building the canal possible. Currently the Canal Zone is a tourist destination. It is important for all travelers to be aware of the potential health hazards of both foreign and domestic travel.